Oregon’s brand new labor commissioner won’t oversee a politically sensitive case accusing top lawmakers of fostering a culture of sexual harassment at the state Capitol, she said Wednesday. Val Hoyle, who took over the Bureau of Labor and Industries on Monday, says oversight of the case will instead fall to her deputy labor commissioner, Duke Shepard. The announcement — and Hoyle’s swearing-in as head of BOLI — comes at a pivotal time in the high-profile and unprecedented case. On Jan. 3, the bureau released a 52-page investigatory report finding that the Capitol is a hostile work environment and that legislative leaders have allowed sexual harassment to carry on in violation of Oregon law. That conclusion was largely based on misconduct by a former state senator, Jeff Kruse. The investigation was launched in August by Avakian and ended days before he left office. That might have meant the matter fell to Hoyle, a former state representative with deep relationships in the state house. But Hoyle said Wednesday that BOLI’s process requires that Shepard oversee the matter. That’s because the case generated as a “commissioner’s complaint,” in which Avakian stood in as the aggrieved party. Now that Hoyle is labor commissioner, she’s technically the complainant, according to BOLI, meaning Shepard should oversee the matter. “Because the complaint was initiated by my predecessor, our agency’s existing protocol and firewalls dictate that it is BOLI’s deputy commissioner Duke Shepard, not myself, who will handle the next steps,” Hoyle said. In recent months, speculation has swirled over how Hoyle would proceed with what has become an acrimonious fight begun by her predecessor. Adrianna Martin-Wyatt, one of two former Kruse interns who’ve come forward publicly to describe unwelcome touching and inappropriate comments by the lawmaker, even tweeted to Hoyle on the subject last week. Hoyle responded, thanking Martin-Wyatt and promising to set up a time when the two could speak. Shepard, the deputy now overseeing the harassment case, has a history of working within the Capitol. In 2011, he was tapped by then-Gov. John Kitzhaber as a policy analyst on labor and human services matters, a job he held until 2015. Shepard had also worked as a policy advisor for the AFL-CIO, and for the Portland Business Alliance. Most recently, he served as deputy director of the Center for Evidence-Based Policy at Oregon Health & Science University. Among Shepard’s options in the harassment case, he could push to prosecute the Legislature within BOLI’s administrative court structure, a process that led to record-setting settlements and hefty penalties during Avakian’s time as labor commissioner. Shepard could also seek to reach an arrangement with lawmakers without a formal prosecution — for instance, asking legislative leaders to take a number of steps to correct the situation. The state’s most powerful legislators have insisted repeatedly in recent months they're already doing a lot. Last year, lawmakers tasked the Oregon Law Commission with making recommendations for how to improve the process for preventing sexual harassment, and for dealing with violations when they occur. Those recommendations include creating a two-person Equity Office that would investigate harassment complaints, extending the current one-year window from the time of harassment for filing a complaint, and creating a new mechanism for making confidential reports. The Legislature is expected to consider those changes in the legislative session that kicks off January 22. 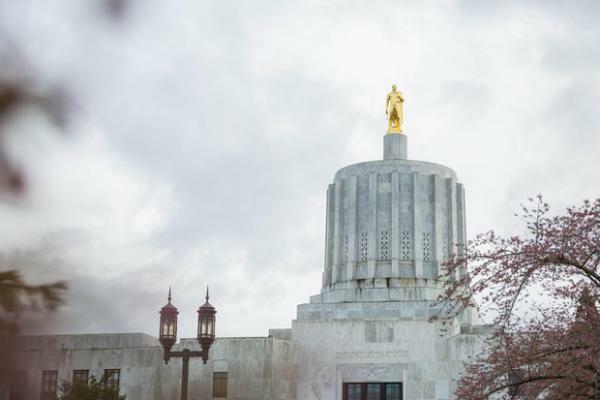 That sentiment was echoed by Senate President Peter Courtney, D-Salem, who said in a statement Wednesday that a legislative committee would "begin implementing the recommendations of the Oregon Law Commission in the first week of session," adding that he welcomed input from BOLI. While Avakian agrees with many of the law commission’s recommendations, he has argued that none of them would address harms to people who’ve already been impacted by harassment in the Capitol. Those ranks include lobbyists, staffers, interns and legislators. To compensate existing victims, Avakian has suggested creating a $15 million fund to potentially pay out harassment victims, and that the Legislature pay a year of law school tuition for the two interns who’ve come forward about harassment in Kruse’s office. Kotek acknowledged the outgoing labor commissioner had mentioned those ideas to her prior to filing a complaint against the Legislature, but said she’s uncertain they’d work. Martin-Wyatt, the former law-school intern who tweeted to Hoyle, told OPB Tuesday she still doesn’t feel the Legislature has acknowledged the harassment she was subjected to during the 2017 legislative session. She has described Kruse attempting sexual banter with her, wrapping his arms around her, and touching her hips, among other things. A state investigation released in February 2018 found the allegations credible. The recent release of the BOLI investigation reinforced for Martin-Wyatt how large the issue of harassment looms at the Capitol, she said. The report mentioned allegations of misconduct against legislators besides Kruse. Martin-Wyatt says she’s not sure what BOLI’s options are now that its investigation has concluded. But she said she intends to keep the issue “moving forward.” To that end, she and another former Kruse intern have hired a Portland employment attorney to represent them. The harassment she experienced in Salem has altered the trajectory of Martin-Wyatt’s life, she says. Before her time in the Capitol, she’d planned on remaining in Salem and looking for a job in politics. These days she lives in Arizona, working as a state employee.